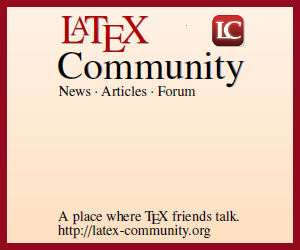 I have been trying to create a small latex math symbol reference. 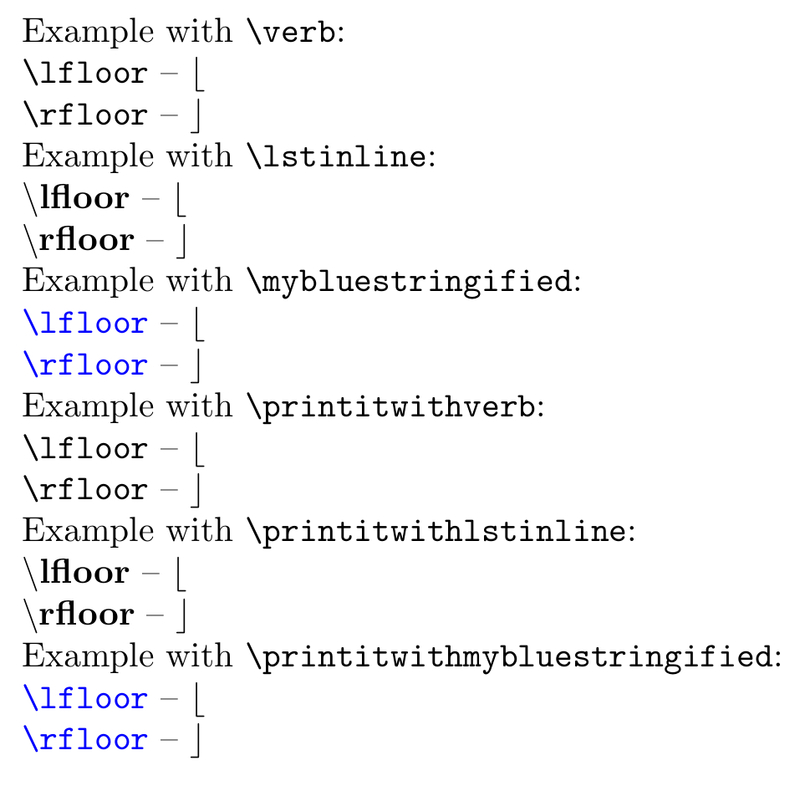 My list will require repetition of lines like \textbackslash lfloor - $\lfloor$. I want to create a command that takes in one argument that is either the symbol name lfloor or the command itself \lfloor. But in either scenario, I have trouble showing the other case. How can I define such command? % the endline-character inserted at the end of \scantokens' argument. In my opinion this is sort of overkill, but I nonetheless decided to show the underlying \scantokens-trickery as it can be used not only with \verb but with other commands also whose arguments usually should not be delivered via macros but via reading and tokenizing input as these arguments should be read/tokenized under different catcode-régime, e.g. \lstinline from the listings-package, or whatever else is to be used for pretty-printing the control words. %% forms the control sequence. %% in this case you need to leave the <verb-delimiter>-argument empty. %% carrying out <control sequence to typeset> gets typeset. %% processes one undelimited argument. Not the answer you're looking for? Browse other questions tagged math-mode macros math-operators arguments or ask your own question. How to specify an optional final argument with \newcommand? Can one define an expandable command that removes control sequences from its argument?